Mindfulness, a practice that’s growing in popularity, is widely praised as an antidote for the stresses of everyday life and a resource that can help many — from anxious dieters and harried employees to recovering addicts and hospital patients — decompress. 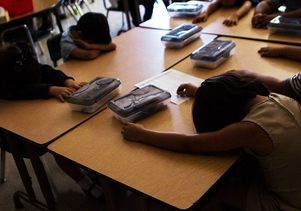 Now mindfulness has found its way into a classroom in Watts, where children as young as 3 are using it to manage their emotions and stay calm. 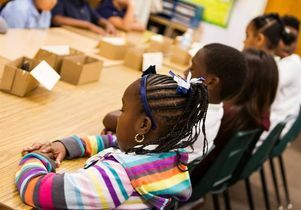 Using a strategy called Calm Classroom, students, ranging from transitional kindergartners to fifth graders at the Florence Griffith Joyner Elementary School, are being guided by teachers three times during the school day through three-minute mindfulness exercises that call on students to refocus their attention on deep breathing, relaxation and body awareness. 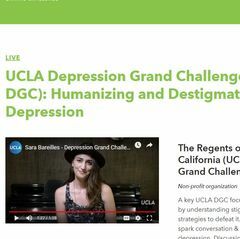 Behind the move to bring mindfulness into the school day is the UCLA Center for Child Anxiety Resilience Education and Support (CARES), which sponsors this and other programs that support student resilience. CARES is part of the UCLA Department of Child and Adolescent Psychiatry. Students at Florence Griffith Joyner Elementary School practice a mindfulness exercise in their classroom. And while the concept of mindfulness might seem abstract for children, students in the lower grades seem to be most receptive, center staff members said. 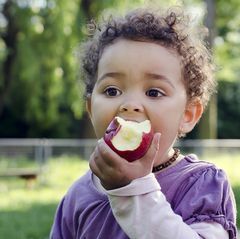 Young children practice mindfulness by doing stretching, focused listening, guided breathing and body awareness exercises. 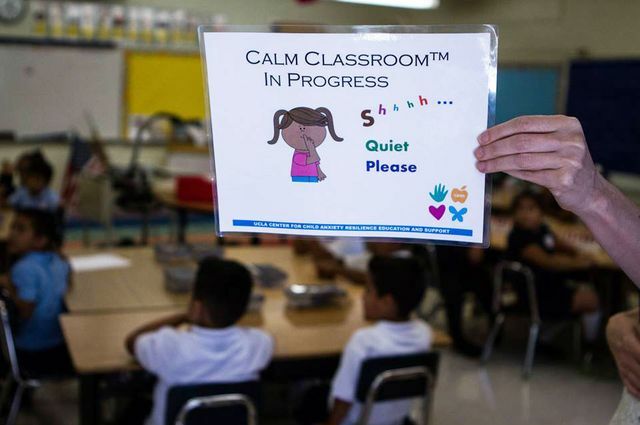 To help students manage tough feelings and prevent the children from developing an anxiety disorder, depression or other major concern, the UCLA CARES Center is implementing Calm Classroom in collaboration with the Partnership for Los Angeles Schools. There are plans for the center to train additional schools starting in the spring. The program is in more than 200 schools nationwide, according to the Luster Learning Institute, and has been taught to more than 200,000 students and their families. "Mindfulness has many benefits for students, including better sleep, increased focus, reduced stress and reduced challenges related to depression and anxiety," said Dr. Patricia Lester, co-director of the center. "The transition back to school can be an especially difficult one for many children. We want to inform parents and teachers about noticing when students are feeling stressed or even anxious about the transition back. Helping students learn to manage these emotions is an important part of early prevention and also helps build resilience,” Lester said. These mindfulness exercises are most effectively led by teachers during times of transition — after lunch, before a quiz or at the beginning or end of the day. Mindfulness could be especially beneficial for Watts families. “The majority of families in the Watts community live below the poverty line, which can cause challenges in accessing important resources, especially those related to behavioral health,” continued Piacentini. Calm Classroom helps students build skills early on in strategies for managing their emotions and identifying when they might be having a difficult time. 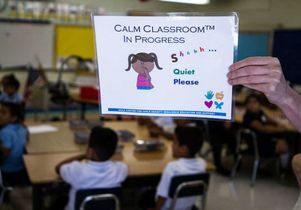 The CARES team piloted the Calm Classroom program during the last academic year at the UCLA Lab School, where teachers noticed that students became more attentive and calm after transition periods, Sheehan said. Lab School students were even using mindfulness techniques outside the classroom to help manage stressful or frustrating events, like waiting to be picked up from school or when separated from their parents during a family vacation. Classroom sign at Florence Griffith Joyner Elementary School.